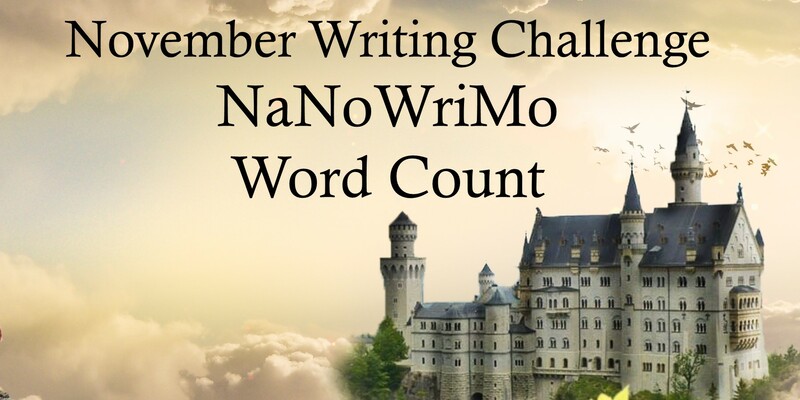 This is the 2nd of 5 Saturday updates to share my writing progress for NaNoWriMo. So far, I’m ecstatic with my progress. For book 3 in the Castle Keepers series, Revelation Stones, the number of words written between November 3rd and 9th was 20,347. At this rate, I’ll reach the intended goal of 130,000 words in about 20 days. This means, the book will be completed by the end of the month. Book 1 of a new series, nicknamed Project M [official name Beyond the Myst], now contains 27,004. I’ve added 11,981 words between November 3rd and the 9th. I plan to finish this 100,000-word novel in mid-December. In total, I’ve written 32,328 words in 7 days. This is the first of five Saturday updates to share my progress writing for NaNoWriMo. So far, I’m happy with my progress. The two novels I’m writing, Revelation Stones and Project M, were already works in progress, so I wasn’t starting cold. For book 3 in the Castle Keepers series, Revelation Stones, the number of words written in the first three days of November was 9,004. I’m putting extra effort into getting the words down now because I have a 3-day craft show next weekend, and I doubt I’ll reach my daily writing goals. Book 1 of a new series, nicknamed Project M, had 4,864 words added since November 1st. This is second in priority, so my daily goal is only 1,500 words. In total, I’ve written 13,868 words for NaNoWriMo and drank 11 cups of tea. At this rate, Revelation Stones will be almost completed by the end of November. I may have to add an extra 10,000 words, but I’m aiming for around 115,000 words. Project M will only have 57,000 words. I am aiming for 100,000 words for that story, so it won’t be finished until mid-December. I plan to write book 4, Healing Stones, in January, then I’ll self-edit Revelation Stones and Project M. My totally insane goal is to release Project M in April, Revelation Stones in May and Healing Stones in June. I’m tempted to answer a challenge I’ve never had before: to write 102,000 in 30 days. That’s 52,000 words more than called for in the NaNoWriMo challenge. My personal goal had been 60,000 words in the month of November. Regardless of the goal I choose, I will post my word count daily in the right margin, and I’ll post a weekly round up every Saturday. Also in the margin is the total word count for each of the novels I’m actively writing. That’s an average of 1,882 words a day. I need to up that to 2,000 words a day to reach 60,000 words and 3,400 words to reach 102,000 words in November. Participating in this challenge means I won’t be able to do any other writing except that which is vital to my writing career. This means my Tuesday Character Introduction series will be on hold until December. This is part of a series of posts I’m writing to introduce characters from the Castle Keepers epic fantasy series. This week, it’s Maisie Darrow. 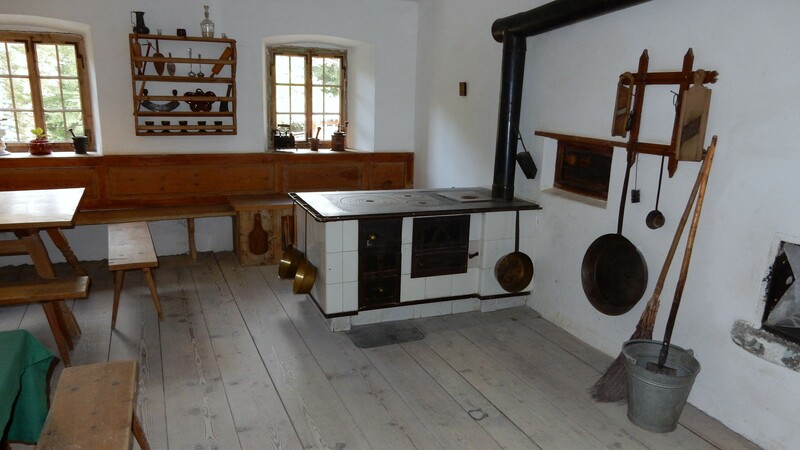 In short: Dwarf, female, born Rhunestone Castle on The Headlands of Mar, living at Maskil, mate to Gavin Darrow, maiden name Kintale, owns and operates Forest Bakery and Herbs Shop with mate, six children (3 boys, 3 girls): Calder, Molly, Joris, Loran, Rhiannon and Bronwyn, several grandchildren. Not much has been revealed about Maisie’s parents and siblings, but I feel there is a big story to tell there. She named her youngest son after her brother, Bronwyn. She and Gaven met in Glen Tosh, fell in love and united there. Soon after, they moved to Maskil where they set up their shop and raised a family. Like all mums, she’s protective of her flock. Although she was busy with her shop, she paid special attention to her children, attention that will be revealed in later novels. Now that they are adults, she’s still an intricate part of their lives, particularly Bronwyn’s. She doesn’t hesitate to give motherly advice, and she also knows how to wheedle information from him as can be seen when he returns to Maskil after being gone a long time. He swallowed hard. His mum had a way of getting him to talk and here in the bedroom, after his waking, was when she usually weaselled the truth from his lips. To protect Alaura, he couldn’t tell anyone where she was or that he had made contact with her. But here, under his mum’s scrutiny, he found it impossible to hide anything. His mum gazed around the table. She enjoyed this most of all: gathering the family for the evening ration. It was the time to share their lives, the joys and the disappointments. She had often said it was the occasion to renew the family bond and for each to gather strength to carry on. He believed that now. One day he wanted to bring his family to the table and continue the tradition. When his mum’s eyes met his, he smiled. She returned the smile and a peaceful expression eased the lines in her cheeks. Would you believe from our miniature donkey? That’s right; our donkey’s name is Maisie. Maisie was not a part of the original story. However, by the time I revised that story written during my teen years, I was a mother. Through Maisie, I was able to guide Bronwyn in life. I’ve been told that one thing that sets my epic fantasy stories apart from others is the family aspect. Most of the heroes in fantasy novels are orphans, and if not orphaned, they are estranged from their family, many not knowing who their parents are. I can only assume the importance I place on family overflowed into my stories. It’s about time a hero had a loving, caring mum who’s there to patch up broken arms, make him cookies and to give unwanted motherly advice. After all, there are often only two women in a man’s life that can get him to do things he doesn’t want to do: his mum and his mate. Bronwyn needs both these women. My interest in genealogy also played a part, and is why the Darrow and Mulryan family tree will be explored in the Castle Keepers series. Maisie pops in and out of the story in every novel, except perhaps in Revelation Stones. She’s there when a mum is needed. As I mentioned above, I believe Maisie has a wonderful story to tell, and this will be told in a future novel. This is part of a series of posts I’m writing to introduce characters from the Castle Keepers epic fantasy series. This week, it’s Sawney Cronin. In short: Dwarf, male, brown hair, brown eyes, born at Maskil, junior corporal with Aruam Castle, scout. The only part about family revealed in Shadows in the Stone is that Sawney has a younger brother. He sympathies with Bronwyn when Isla is kidnapped, and says he knows if his little brother, who is around Isla’s age, was taken, he’d take every risk to find him. No doubt, Sawney’s parents are living in Maskil, and he has more than one sibling. Insider Tip: Sawney’s little brother was mentioned here not to connect Sawney with Bronwyn, but to bring the boy into the story. I don’t know what his name will be but look for him in Healing Stones. He’s going to do some bad before he does some good. Sawney is a typical dwarf, went to Study Hall, completed his courses, tried a few trades, then enlisted with Aruam Castle because he has a sense of adventure. He’s dedicated to friends and family. Sawney was not part of the original cast in the novel written in my youth, but I added him because I wanted a few friendly faces on guard at the castle, ones Bronwyn could trust and ones readers would become familiar with over time. In a search for names, I came across it, liked it, found it unique and assigned it to this quiet character. The last name, Cronin, was a name I liked at first, but I’m not a fan of it now. I wished I had picked a better one for this character who, unbeknownst to me at the time, has a bigger part in this epic tale than I first imagined. Sawney began as a private in Shadows in the Stone, and we see him promoted to junior corporal in chapter 10. He becomes more prominent when called on as a scout to track Isla’s kidnappers. He gets seriously injured when the dragon attacks and returns to the castle. Unlike the others in the group, he calls Bronwyn ‘Sarg’ instead of ‘Sergeant’…unless it’s official business. Sawney appears in Vignette #9 where we see he’s made a special friend, Willow. Whether this grows into something more, you won’t know until Revelation Stones is released. Sawney appears in Scattered Stones where “an intricate copper-coloured conch laced into leather decorated his scabbard belt.” He plays an intricate, silent part in the series, so I think he’ll be around for some time. Insider Tip: Project M involves Willow, so Sawney might show up…but I’m only 5,000 words in, so I’m unsure what ground will be covered. I’ve been doing a lot of writing, editing and formatting lately. So much so, I’ve neglected other areas of my life, but…laundry will always be waiting for me, and dishes will eventually get washed and snow will cover the long grass soon enough. I have many things in the works, so I thought I’d make record of them here. Many might ask, why a 2nd edition? released. I’d like to show off these new skills by improving the reader’s experience. I didn’t include a character list in the back of the book, and I’ve had several requests for one. The print version of the 1st edition had smaller text, and I wanted to enlarge it slightly to improve the reader’s experience. The 2nd edition also has a prettier layout, which is more appealing to the eye. The cover for the 1st edition was okay, but the 2nd edition cover is amazing. The second book in the series, Scattered Stones, is several thousand words longer, which bumped it up to a more comfortable 6 inches wide by 9 inches tall book. Shadows was 5.5 inches by 8.5 inches. I wanted all books in the series to be 6×9. 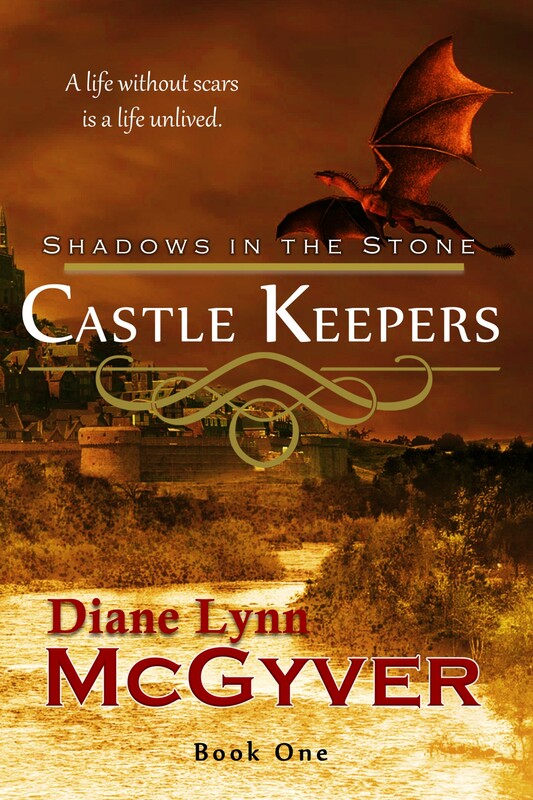 The long-awaited 3rd book in the Castle Keepers series, Revelation Stones, is scheduled for release in May 2019. It is more than 32,000 words written, but I have a long way to go to see ‘the end’. It will finish off around 140,000 words. My goal is to write about 50,000 of this in November during NaNoWriMo. I’ll provide updates on my progress here. Well, not really a new series, but…I’ll explain further when the project nears the end. Project M stemmed from a writing assignment by my writers’ group. We were challenged to write a complete story between September 2018 and June 2019 following the basic acts (Act I, Act II, Act III) of story telling. We could choose to write a short story or novella, but I chose a full novel. Brainstorming for ideas brought me to Willow, a character who first appears in Junior Corporal Sawney Cronin’s vignette. 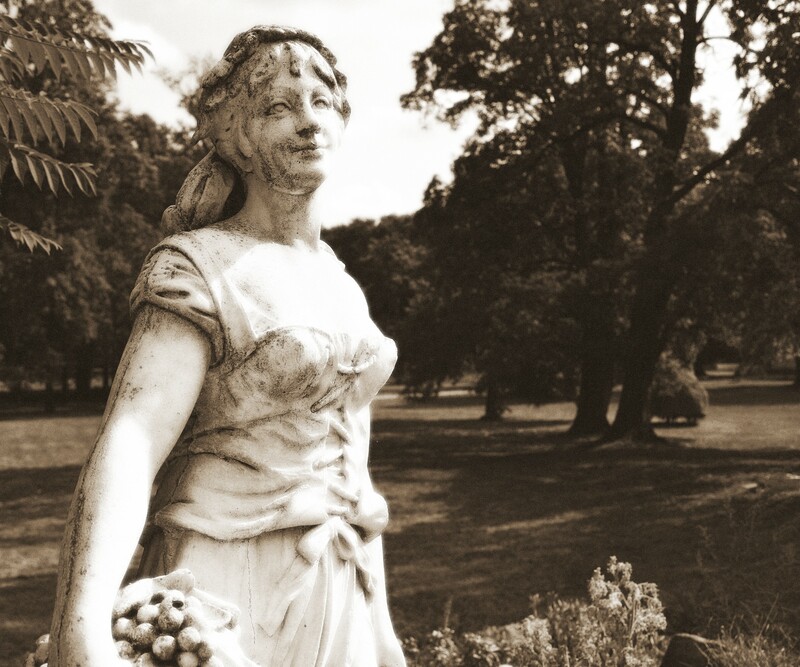 Digging further into this woman’s background, I found an interesting story that ties into the ancient dwarf legend told in Glen Tosh. This story begged to be written. This series will not take flight for a few years as I want three books written before they are released. They will reveal many secrets behind the stories in the Castle Keepers series, so it is best to wait and avoid spoilers. This will have a series name of its own but will be a branch off the Castle Keepers series. I am supposed to write 400 words a day of this story. In three days, I have 2218 words. I will put updates of my word counts for both novels – Revelation Stones and Project M – in the right margin. This is part of a series of posts I’m writing to introduce characters from the Castle Keepers epic fantasy series. This week, it’s Isla of Maura. In short: Hauflin; female; large brown eyes, long brown hair, born in Maskil; child; in the opening scene of Shadows in the Stone, her mother gives birth to her. Isla is the daughter of Maura of Ealasaid and Keiron Ruckle. Although few people know, a twin brother was also born that night. He was sent away to be raised by foster parents in North Ridge. Maura died shortly after giving birth to the twins. Plans were made for Isla to also be sent to North Ridge but her das intervened, and she spent the first five years of her life under Keiron’s abusive care. When she was five, she met Liam Jenkins, a hauflin a year older than her. They became best friends. Hauflins call their mothers meeme and their fathers das. When Isla was born, Catriona gave her a small medallion with five blue stones imbedded it. Keiron promptly sold it. Her twin brother also got one. I found Isla after an exhaustive search for the perfect name for this young girl. When I saw it, I instantly knew it was the right one. I loved it so much, I gave the name to my female sheep 7 1/2 years ago. It is pronounced with the long I, as if you were to say island. And that’s exactly what the name means: island. It is fitting for this young hauflin because for a large chunk of the series, Isla feels like an island, alone and unable to bridge the shore. When she drank the potion and transformed into a marmoset, Bronwyn called her Button…because she was as cute as a button. Farlan calls her Little Sprite, and Sanderson calls her a young sprite. She calls him Sandy. Isla was part of the original cast that ran with the Warriors back when Bronwyn Darrow was simply known as Argon. She was a hauflin thief and loved being sneaky. She prided herself in being able to break in to strongholds and escape without detection. She was the spokesperson for the group and often talked them out of conflict more than talked them into it. She was a free spirits soul who went where the wind blew her, and she was loyal to her companions and would easily risk her life to save them. Isla plays a major role in Shadows in the Stone. She is a smart, observant girl who loves to explore and feels at home in the forest. Since her earliest years, she’s been fascinated with stones, and by the time she becomes Bronwyn’s ward, she has a small collection. She enjoys fashioning the stones into necklaces, of which she shares with her family and friends. In the first book, she is instrumental in bringing Bronwyn and Alaura together. 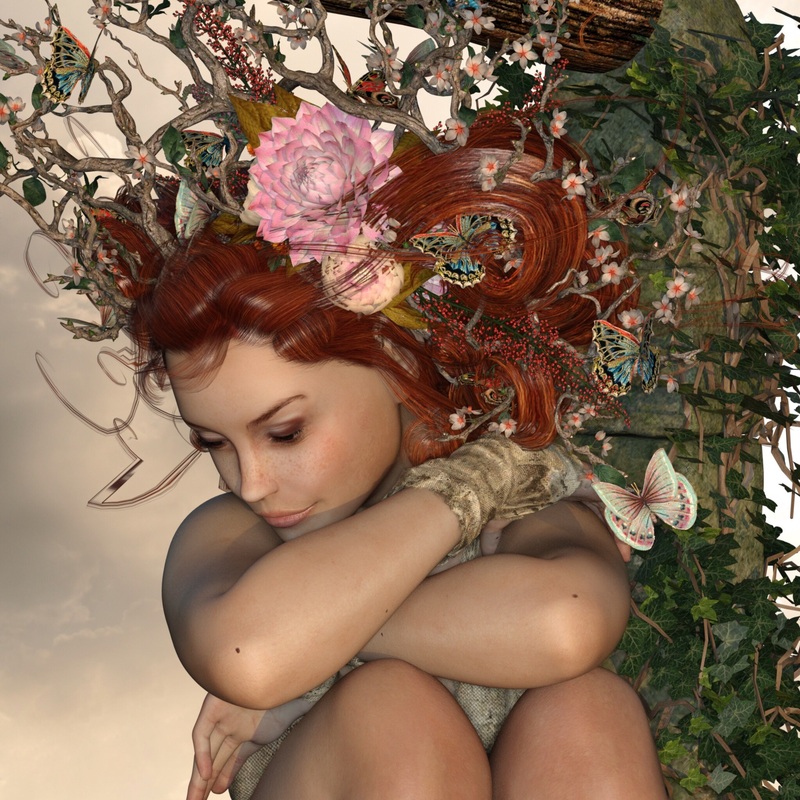 Isla plays a minor role in Scattered Stones even though the story is focussed on finding her. She jumps into the spot light again in Revelation Stones where she tries to find her way after enduring five years in a prison. The cool evening air brushed loose strands of Isla’s brown hair from her face. The breeze caressed her skin, slipped down her neck and into her cotton shirt. The dark material had seen better days, but it provided basic protection against the elements. Not that it mattered. She tolerated the weather as she tolerated living. Isla steeled her jaw as she surveyed Blackvale Castle from her perch in the embrasure, her back pressed against the cold stone of a merlon. She had been in almost every nook and cranny, every room on every floor, including many restricted areas, and every passageway that twisted both beneath and within the bulking, sinister structure. The black stone walls rose from the ground as if fangs from a ferocious monster, seizing anything and anyone in its grasp. Hidden Secret: Maura’s name spelt backwards is the name of a famous castle in this series.